Mario's presence in gaming can be found almost as early as video games were first created. It is one of the best selling franchises in Nintendo and a series players of all ages recognize. Here is a list of the top 20 best selling Mario games of all time. Mario Party 8 was released in 2007 and is the eight game in the Mario Party series ad the first game in the series for the Wii. The game sold 8.85 million copies and is also known as one of the best selling games for the Wii. The game was released in 2007 for the Nintendo DS. Like a number of other Mario games, it was later released on the Wii U Virtual Console in 2016. Mario Party DS was followed by Mario Party 9 for the Wii. The game sold 9.31 million copies. Nintendo's Mario Kart 64 is the second game in the Mario Kart series and a successor to Super Mario Kart for the SNES. It was released for the Nintendo 64 and later released as a Virtual Console game for the Wii and WiiU in 2007 and 2016 respectively. It sold 9.87 million copies. Super Mario All-Stars is a compilation of the games released for the SNES until 1993. The game has enhanced remakes of Super Mario Bros., Super Mario Bros. 2, Super Mario Bros. 3, Super Mario Bros.: The Lost Levels -- which was the original Japanese version of Super Mario Bros. 2. It sold 10.55 million copies. Super Mario 64 DS is a remake of the Super Mario 64 game for the Nintendo 64. The remake included better graphics, but it also introduced more characters, a multiplayer mode, and several minigames. Since its launch it sold 11.06 million copies. In Super Mario Land 2, players are introduced to Wario for the first time in the series. Wario is hiding in Mario's former castle and Mario must collect six Golden Coins to break the seal on the castle and defeat Wario. The game sold 11.18 million copies. Super Mario 64 was released in 1996 as a game for the Nintendo 64. It is the first game in the Super Mario series that featured three-dimensional gameplay. A remake was later made for the DS in 2004. The game sold 11.91 million copies. Super Mario Odyssey was released for the Nintendo Switch, Nintendo's latest console, in 2017. it follows Mario and Cappy, a spirit that allows Mario to possess other characters and objects in order to save Princess Peach. The game featured a vocal theme song for the first time in the series' history. It sold 12.17 million copies so far. Super Mario 3D Land was released for the Nintendo 3DS and was also the first Mario game released for the 3DS. The game combines elements from traditional, two-dimensional Mario games, and three-dimensional, modern Mario games. It sold 12.22 million copies. It is the sixth best selling game for the 3DS. Super Mario Galaxy was released for the Wii in 2007. It is considered one of the greatest video games of all time, and was a success in nearly every aspect. It became the ninth best selling Wii game and is the best selling 3D game in the Super Mario series with 12.78 million copies sold. The 3DS game was created as a sequel for the Nintendo DS game: New Super Mario Bros. There is a bigger emphasis on coin-collecting in New Super Mario Bros. 2. The game sold 12.82 million copies. Mario Kart 7 is a racing game created for the Nintendo 3DS. It was the first 3DS game to sell over five million units, and was later added to the Nintendo eShop for players to purchase digitally. It sold 17 million copies, making it the best selling 3DS game. There were 18 million copies of Super Mario Bros. 3 sold since its release in 1988, and in 1990 for North America. It was created for the NES and introduced elements that became staples in the Mario series, like Bowser's children and a world map transition between levels. Most Mario games were created for consoles like the SNEES until 1898, but Super Mario Land was the first Mario game to be playable on a handheld console -- the Game Boy. The game introduced Daisy for the first time. It sold 18.14 million copies. Super Mario World was created for the SNES in 1990. Its gameplay is similar to other Super Mario Games. The game also introduced Yoshi for the first time as a character Mario can fight along with. It sold 20.61 million copies. Mario Kart DS was the first Mario Kart video game created that allowed players to play against each other via the internet. It is the third best-selling game for the Nintendo DS, with 23.6 million copies sold worldwide. Nintendo created New Super Mario Bros. Wii as a sequel to the New Super Mario Bros. for the DS. The game features co-op, where players can play with friends, and the option to bubble their character and opt out of completing a certain parts of a level. It sold 30.22 million copies. The New Super Mario Bros. game was created for the Nintendo DS. The game became the tenth best selling game of all time, and is the best selling game for the Nintendo DS. 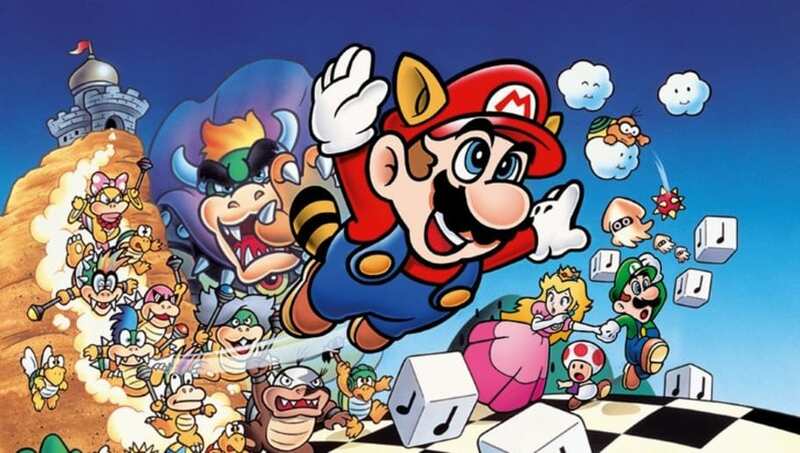 The plot and gameplay is similar to other Super Mario Bros. games in the series. There were 30.80 million copies sold. This game became the best selling game of all time in the Mario Kart series with 37.14 million copies sold since its launch in 2008. It was released for the Wii and the game also featured online multiplayer games for fans. The best selling Mario game of all time is Super Mario Bros., released in 1985. The game sold 40.25 million copies, and remains the best selling Mario game of all time. It was released on the NES as a successor to the Mario arcade game.